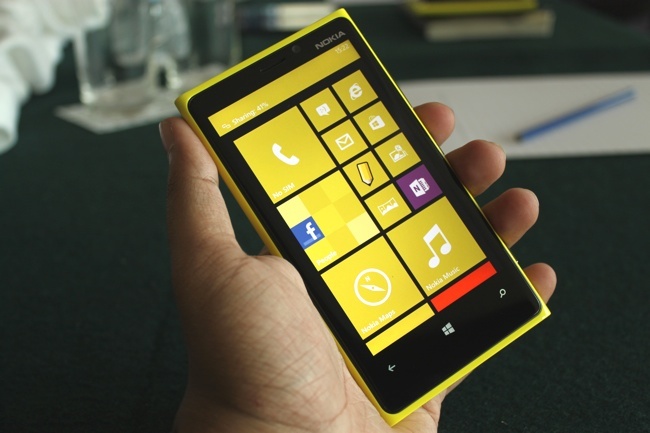 Nokia has just launched its flagship devices, the Lumia 920 and Lumia 820, in India. The Lumia 920 will cost Rs 38,199 while the Lumia 820 will cost Rs 27,559. Both these phones will be available in stores from tomorrow. The Lumia 620 was also showcased at the Mumbai launch, however the device will hit the stores in February and the price for this was not revealed. Key features of the Nokia Lumia 920 include a curved 4.5-inch PureMotion HD+ screen, a dual-core 1.5GHz Snapdragon S4 CPU with 1 GB RAM, 32 GB disk space and 7 GB storage in the cloud with SkyDrive for users. Firstpost got a chance to play with the Nokia Lumia 920 at the launch and here’s a quick look at some of the first impressions. Camera: The biggest positive first. The Nokia Lumia 920 has it bang on. This is significant given the importance of pictures in the mobile market. From Facebook’s Poke app to Instagram, smartphone users are using their phones heavily to take and share pictures. 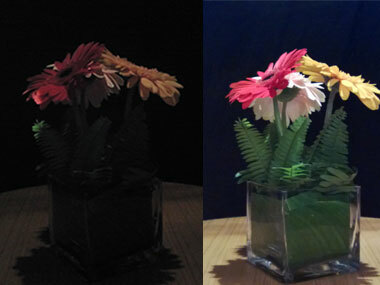 The Nokia Lumia 920′s camera takes blur-free images even when it’s dark and there is no flash on. Check out the differences between two images below. The first one we took with a Samsung Android Galaxy S phone (which doesn’t have a flash) and the second with the Nokia Lumia 920 (flash off). Granted the Samsung has a 5 megapixel resolution but in terms of brightening up the pictures, the Nokia device is miles ahead and remember, this picture has been taken without flash. The PureView camera will definitely appeal to those who love to whip out their smartphone and click regardless of the light. Both clicked with flash off. The only question is whether the camera’s 8.7 megapixels really makes a difference in an age where Instagram and other photoediting apps rule the world and people want to add effects like blur, black and white etc. Optical Image stablisation: Even while recording videos with a shaky hand, this feature was also pretty impressive. Comparing a video shot from the Lumia 920 to a video from an HTC 8X (another Windows 8 phone), one could clearly see the difference in the quality of recording. The stability of the video on the Nokia Lumia 920 is great. Cinemagraph: This is one feature of the Lumia 920 and 820 which adds to the fun quotient in the smartphone. Smartphones aren’t just about consuming, they are also about doing random, crazy stuff and this feature of the camera lets you do just that. Users can convert a picture into a GIF, by simply taking a still picture, and then animating parts of the image. This is seamless and integrated into your camera. Microsoft Office: This is again a big positive feature in the smartphone. The fact that the app comes free and installed is good, especially for those who can’t give up Office. You can link it to SkyDrive and thus your other Word Documents as well. The fact that all features of Office from PowerPoint Presentation to Excel are available should make it appeal to those who constantly need access to their documents. Sharing: This is the biggest negative. For example, while sharing a picture from the Nokia Lumia 920, via Bluetooth, the only share options visible are Messages and One Note. The phone that we were looking at may not have had all the apps installed but that fact that it only showed Bluetooth as a share option when Bluetooth was switched on, was frustrating. The Live Tiles are another feature that we’ve heard both Microsoft and Nokia go on and on about. The idea behind Live Tiles is that you can personalise them and both companies have been playing the “No more boring icons like Android and iOS” card. You can choose to make a particular tile big or small depending on how important it is to you. For instance, you can make WhatsApp very large and hide games if that’s what you want. Except that this doesn’t really work as well as you’d think it would. If you click on a tile, a pop-up appears which allows you to stretch the tile. By instinct, you would want to stretch the expand icon as much as you can. But the truth is that there are only three default sizes. So is the phone worth it? 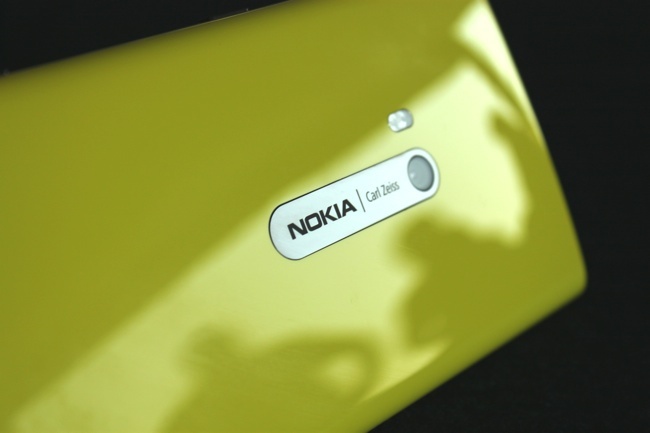 In terms of offering something new, Nokia’s Lumia 920 does that as far as hardware is concerned. The camera is excellent. However, does one secretly wish this phone had an Android OS? Well, sure, it won’t be the worst thing in the world.